Attorney Gianluca Sposato, born in 1969, obtained his law degree at the University of Rome "La Sapienza" in the academic year 92/93. He has been qualified as a lawyer since 1997 and has practiced as senior counsel before the higher courts since 2009. Gianluca is best known for obtaining convictions against insurance companies even beyond policy limits and for rigorously defending the victim in personal injury claims for damages suffered. In 2004, he founded ADISM (the Association of Defense) for road traffic injuries and medical malpractice, which has received recognition from the Presidency of the Council of Ministers. Gianluca was recognized for his effective contribution to protecting those injured in road accidents. Gianluca’s technical capacity and practical skills in solving even the most intricate cases has also been recognized by numerous politicians, entertainment lawyers as well as the ISLE (Institute for Legislative Studies and Documentation) under the Patronage of the President of the Republic and the INPDAP (National Institute of Public Administration Employees) that gives pension funds to public administration professionals. In 2008 he founded and became the president of Associazione Custodi Giudiziari, the Association of Judicial Custody, that organizes and manages the promotion, education and training of members and professionals with an interest in real property executions. Nowadays he is Honorary President of ACG. Gianluca specializes in: road traffic liability, medical malpractice liability, securities, real property executions, debt recovery, arbitration, bankruptcy law, companies law, family law, copyright law, sports law, mediation and conciliation. Gianluca is a professional mediator and arbitrator for CONSOB. 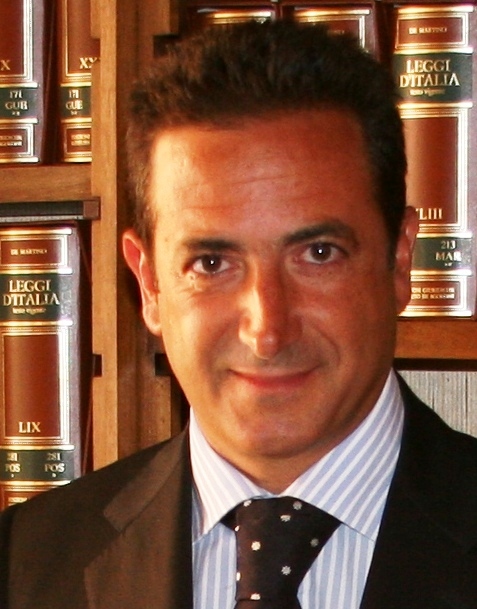 Gianluca Sposato is an active member in the Bar Association of Rome, from which he was appointed as a congressional delegate to the XXIX National Congress held in Bologna in 2008. He was also candidated to the Council of the Bar Association for 2010 – 2012 in the first round, that allowed him to proceed to the second round, at which he was not present. real property, opposition to the execution, the execution proceedings and bankruptcy. He is also the author of numerous publications in major national newspapers, including "Il Sole 24 Ore", "Italia Oggi" and "Rassegna Parlamentare".